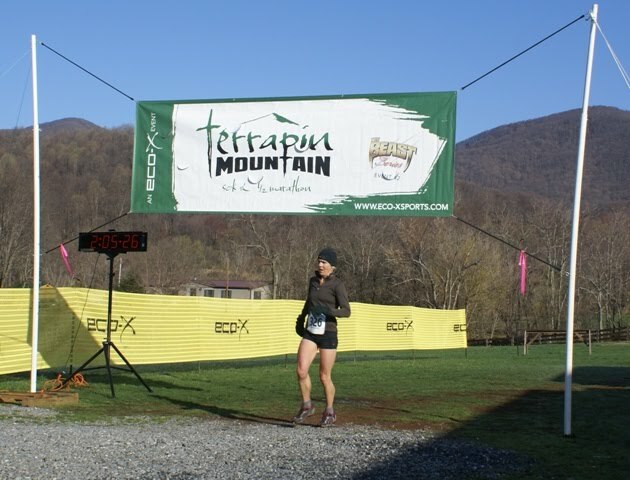 Justine Morrison is the top overall women in the 2010 Terrapin Mountain 50km race. Congratulations to Justine on setting a new course record in a time of 4:56:22. 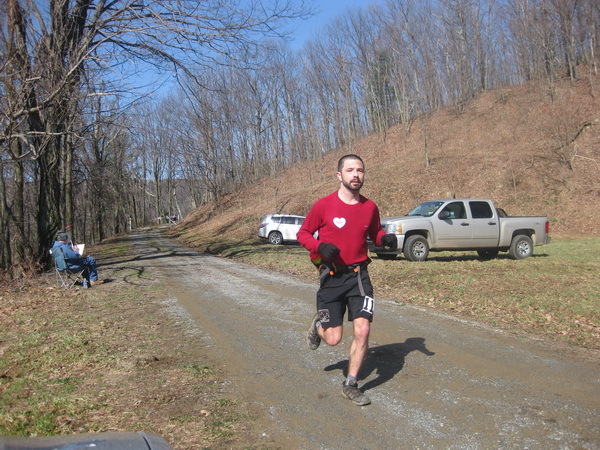 See the rest of the ultra running race results here. Here at aid station #6 we are about 22 miles into the race. We have had about half the runners come through and you can tell the miles are wearing. 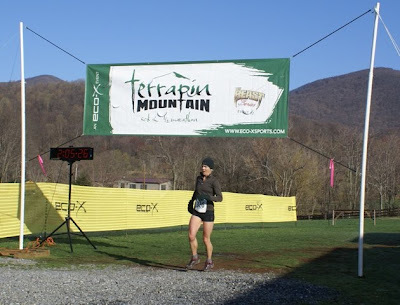 Attitudes are still positive and the runners are always happy to see the aid station, but looming ahead is the final climb of Terrapin Mountain. Rewarding views of the surrounding Blue Ridge are tempered by the agony of the last push. 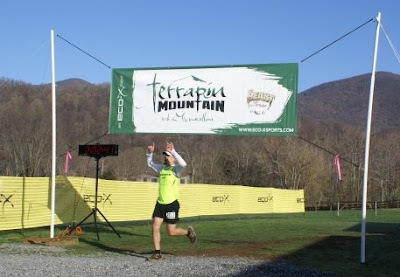 Then it's all downhill and the reward of finishing the Terrapin 50k, a challenge not for the light hearted. In the 2nd Annual Terrapin Mountain 50km Race, Jeremy Ramsey and Jordan Whitlock tied for 1st place in a time of 4:28:38. The course record remains in tack at 4:13:27 set last year by Jordan Whitlock. 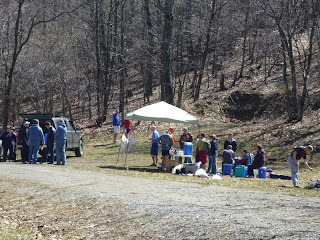 As of 11:30 this morning we have all runners through the aid station. Despite a cold start this morning the sun is shining and we've got high 40's now. Perfect running weather and a great trail means good times for all. Lots of runners in groups having a good time enjoying beautiful views and good company. 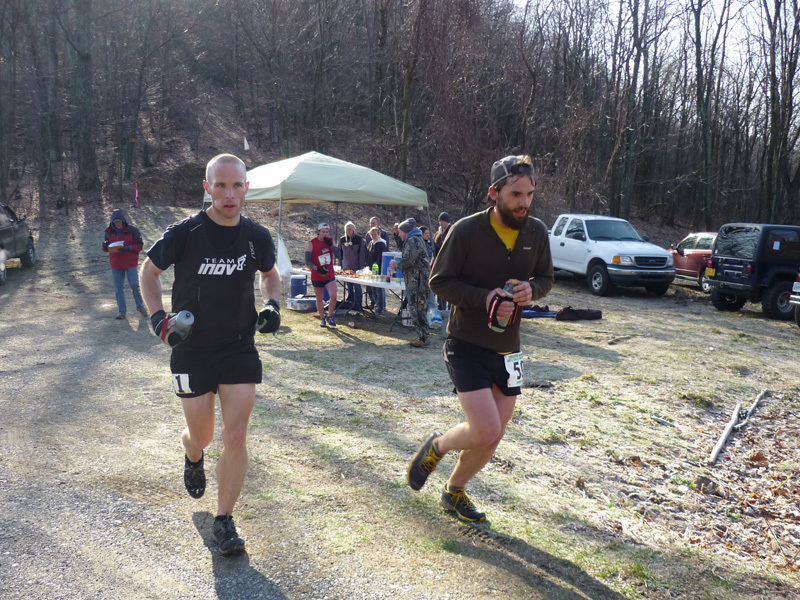 The 3 leaders came through Aid Station #6 (Camping Gap, 22 miles) bunched together. They all looked very good and very determined. This is shaping up to be a great race. At 3 hours in we are over half way through the race and we will definitely see someone try to make a move soon. Here is my first race post. Some links that will be relevant to keep up with the race during the race and post race. And then this blog for audio posts and other updates, this is the control hub for all of our updates. The photo above is Terrapin Mtn. Start/Finish Line 3/26/2010 at dusk the night before race day. Also we'd love to hear comments on what posts you like.